The oral cavity is susceptible to disease due to its increased exposure to bacteria and germs during activities such as eating, drinking, breathing, and speaking. An oral pathological process often presents as an alteration in the appearance of the skin inside of the mouth (mucosa), which is normally a coral pink color and smooth in nature. Most diseases of the mouth are discovered through self-examination or during a routine dental screening. Regularly performing an oral self-exam can assist with early detection of an oral pathology. If you should discover any symptoms of oral disease that do not resolve within 2 weeks, contact your dentist for a thorough oral evaluation. 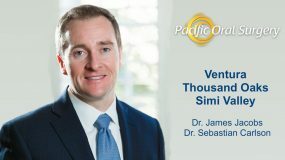 If an abnormality is identified, your dentist will refer you to an oral and maxillofacial surgeon, such as those at Pacific Oral Surgery, who will perform an extensive oral exam. In order to obtain a definitive diagnosis, your oral surgeon will perform a biopsy on the affected area. During a biopsy, a small piece of tissue is removed for microscopic evaluation. Some small lesions are removed entirely during a biopsy, while only a portion of a larger lesion is removed. Biopsies can often be performed as an in-office procedure under local anesthesia. A pathology lab examines the biopsied tissue and provides a report to the oral surgeon for a diagnosis. 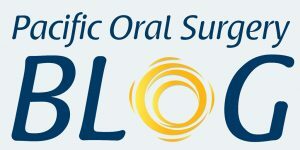 The majority of oral pathological processes are benign in nature and can be treated with medication or a relatively simple surgical procedure, however, oral cancer has been increasing for the past ten years. The most serious oral and maxillofacial pathology is oral cancer. Oral cancer occurs when the DNA of the cells in the mouth or lips changes, or mutates, which allows cancer cells to grow and multiply. Accumulated cancer cells form a tumor which can spread, not only in the oral cavity, but to other areas of the body. Approximately 5% of reported cancers involve the neck and head areas. 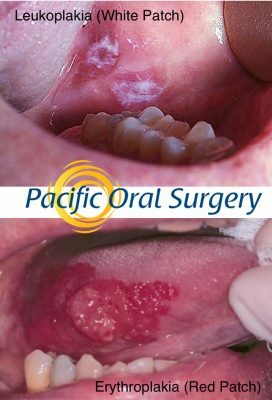 The most common type of mouth cancer begins in the squamous cells inside the lips and mouth and is called squamous cell carcinoma. Chronic tobacco and alcohol use (especially together) are the most common causes of the development of oral cancer. Recently, however, research has shown that exposure to the human papilloma virus (HPV) is becoming a significant factor in oral cancer, as well. Early detection is extremely important in treating oral cancer. Suspicious sores or lumps should be examined professionally if they persist over 2 weeks. 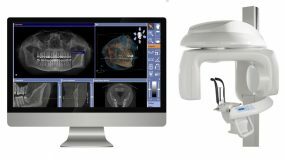 When discovered in the early stages, oral cancer is typically treated with either radiation or surgery alone. Later stages of oral cancers are usually treated with a combination of methods. During primary tumor surgery, the tumor is removed, as well as a portion of healthy surrounding tissue (the margin), to ensure that no cancer remains. The goal of oral surgery for cancer is the complete removal of the cancerous tumor while leaving negative margins (no cancer in the surrounding tissue). The type and complexity of oral surgery performed will depend on the location and stage of cancer present. 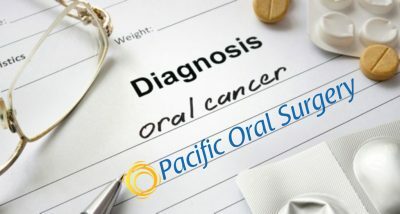 If you have been diagnosed with oral cancer, the surgeons of Pacific Oral Surgery will work as part of a multispecialty team to give you the best surgical treatment available. 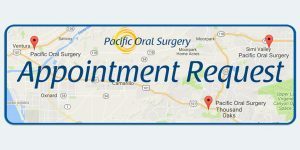 If your dentist suspects that you have an oral pathology, contact our office for an evaluation by submitting an online appointment request or calling one of our three Pacific Oral Surgery offices located in Ventura, Thousand Oaks and Simi Valley.